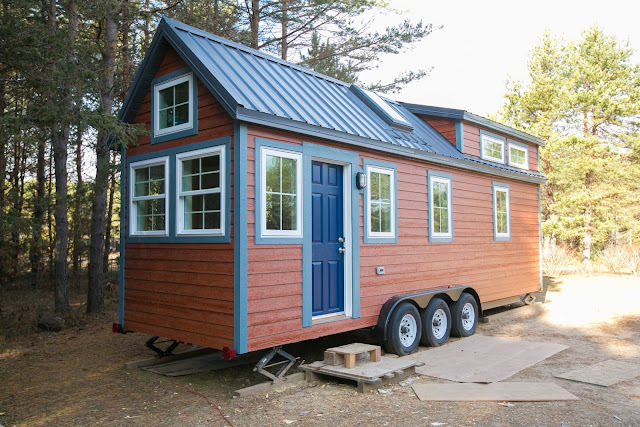 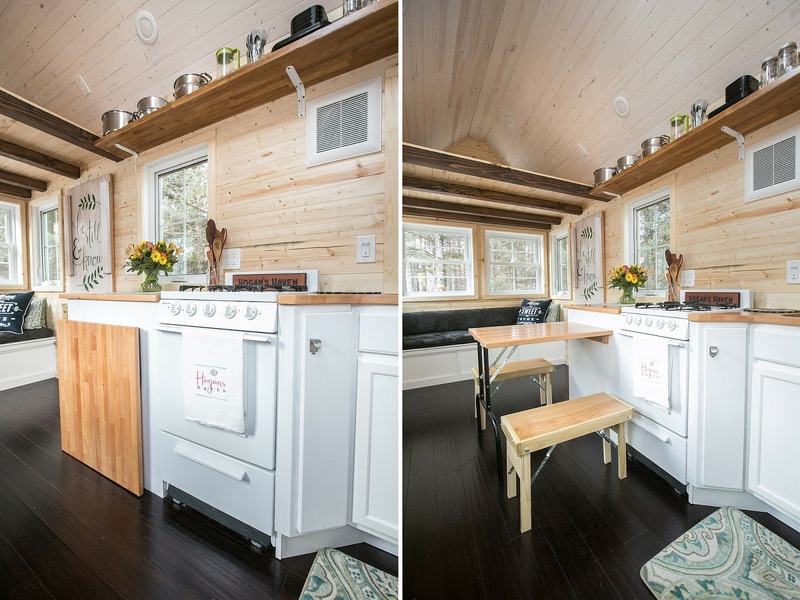 Wanting to simplify her life for her family and live more affordably, Caitlin and her husband, Zach, decided to buy a tiny house. 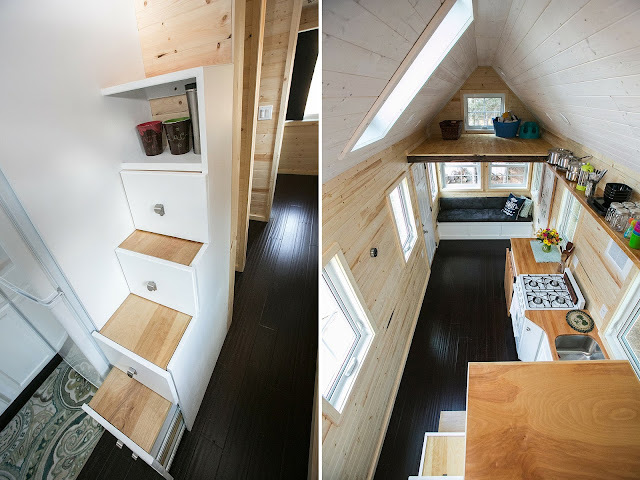 Their interest in tiny houses was originally sparked by a tiny house documentary on Netflix, called Tiny. 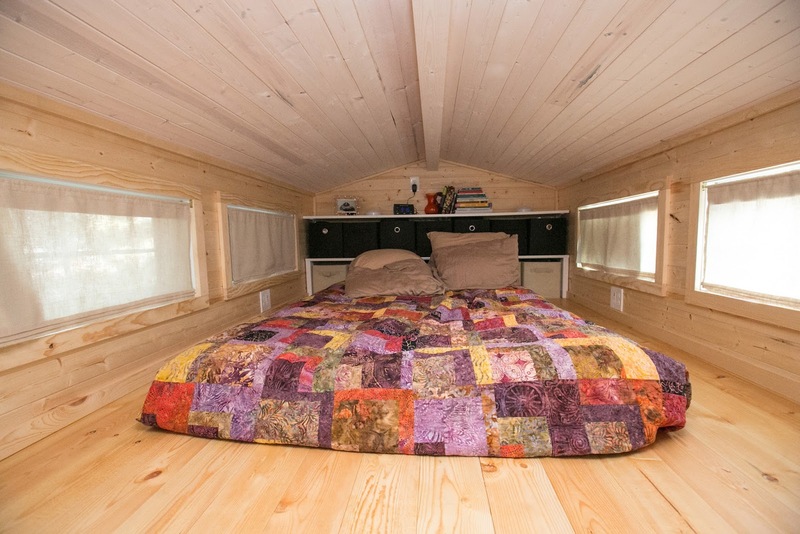 Deciding it was the route to go, Caitlin and Zach attended a Tumbleweed workshop in March of 2015. 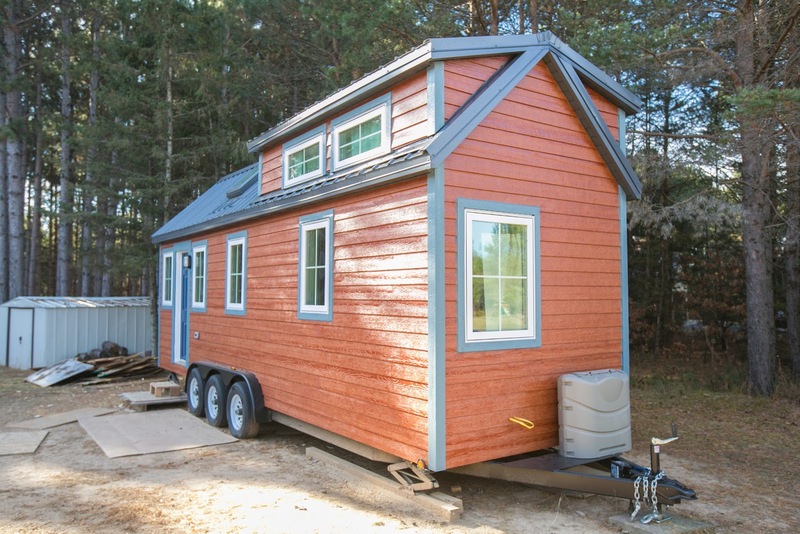 A few months later, in June, they began building their very own tiny house. 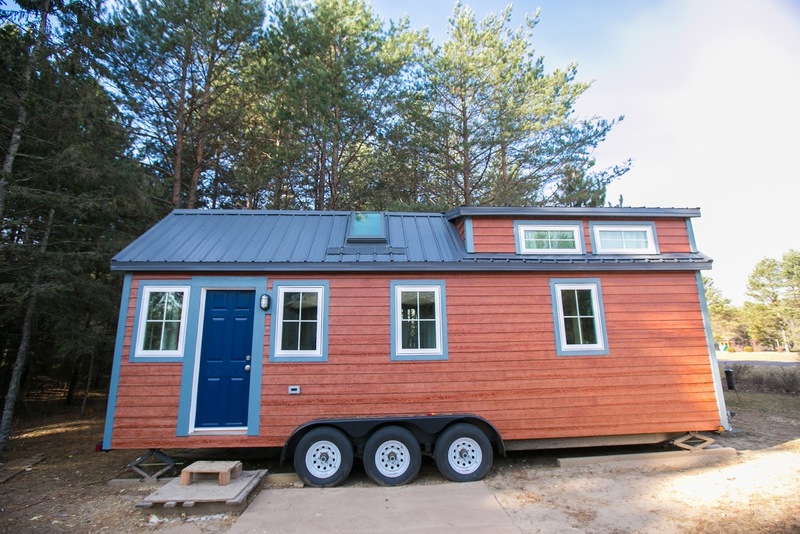 Construction on their home, Hogan’s Haven, was completed just before Thanksgiving of the same year. Once the home was finished, with help form JB Home Improvers, it was moved to Nevada where Caitlyn and her family now live. 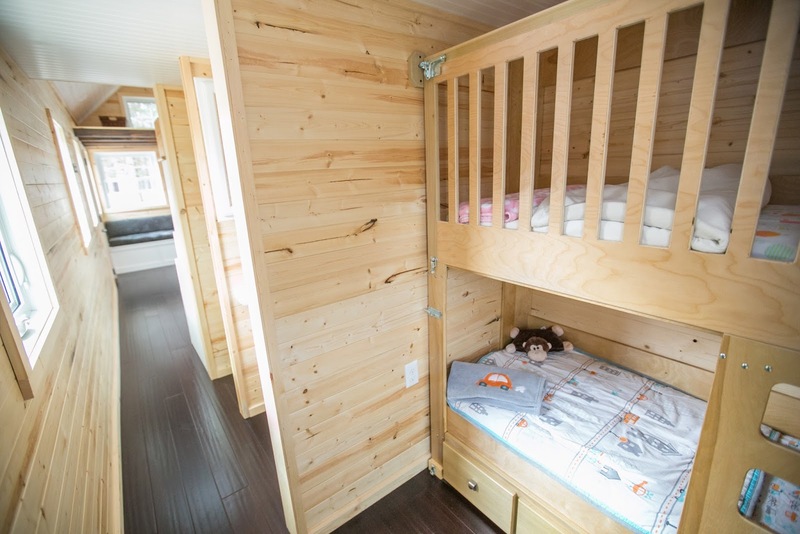 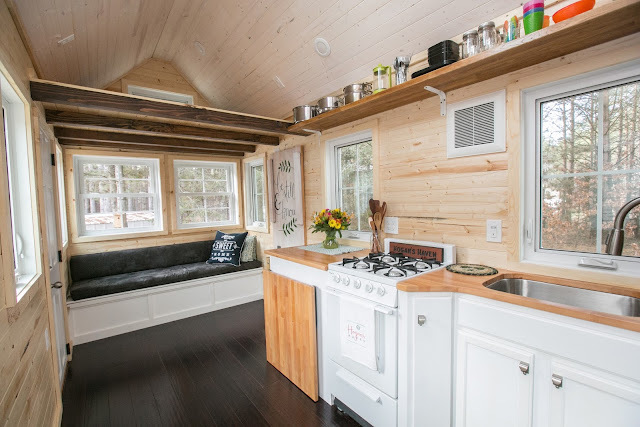 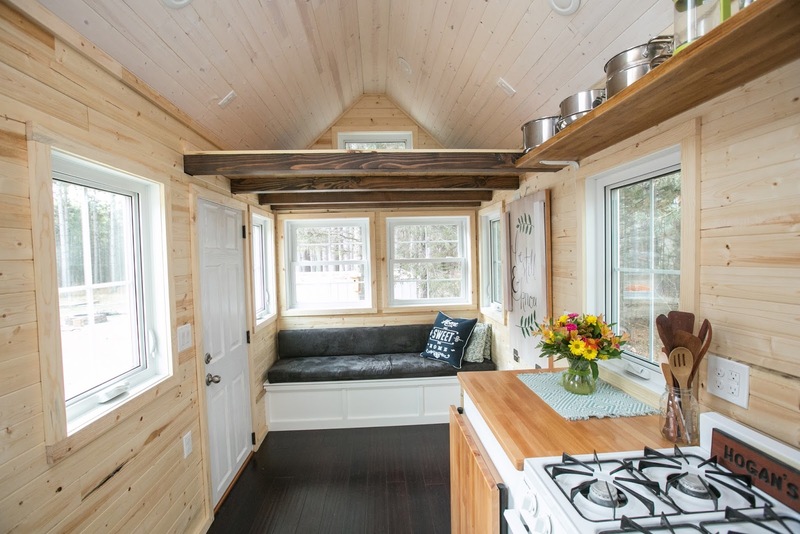 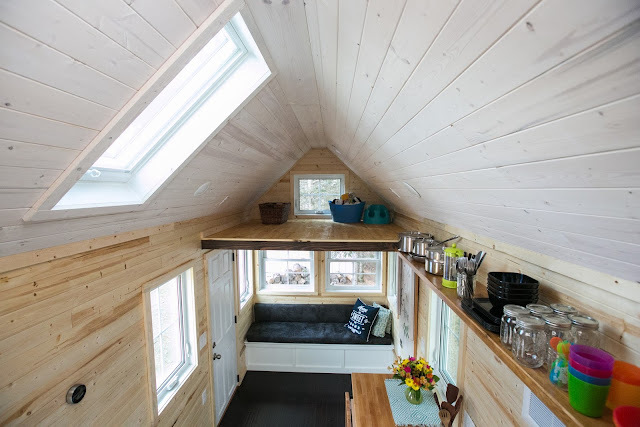 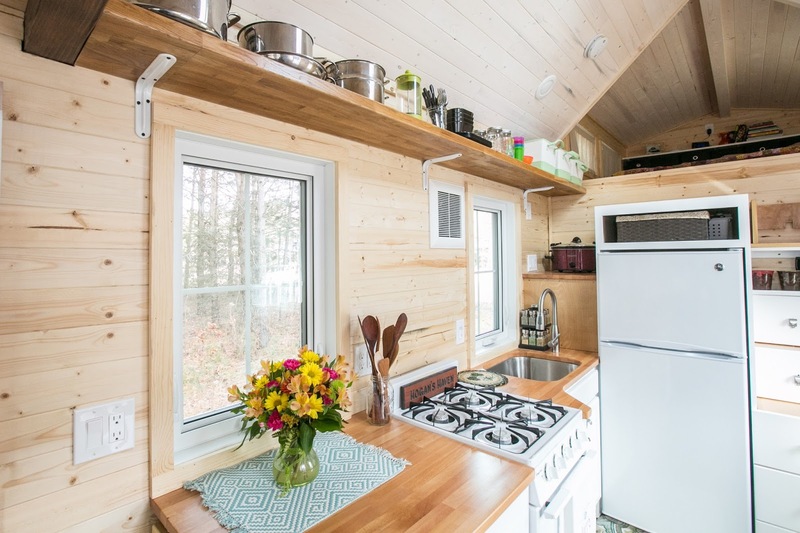 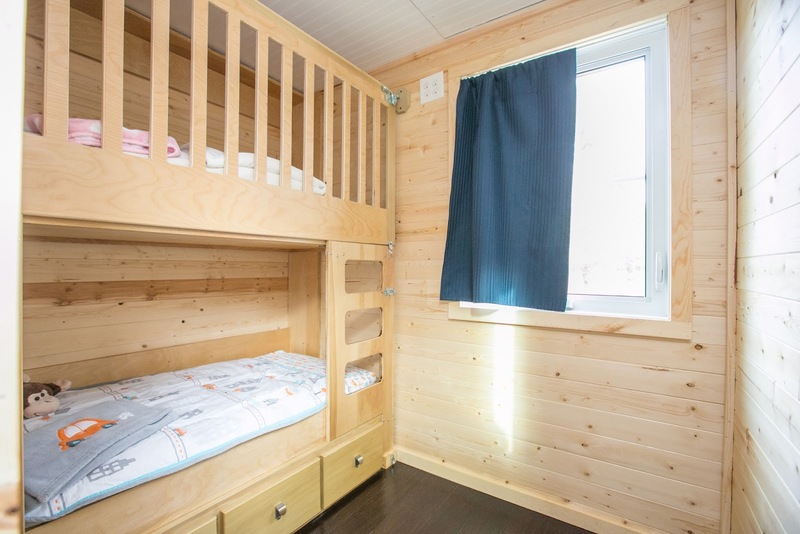 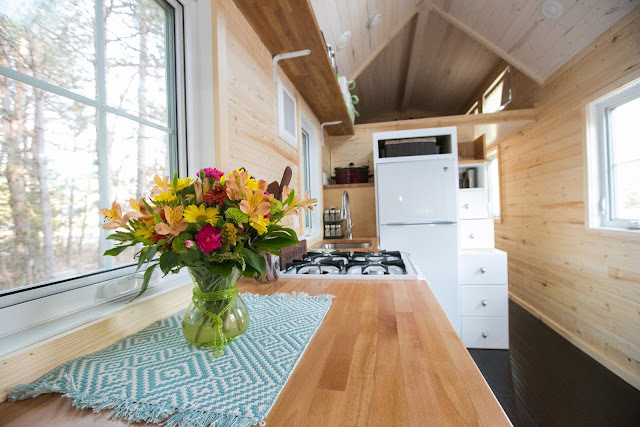 The home measures 183 sq ft and has a kitchen with a foldable dining space, a living room area, a bathroom, a ground floor bedroom for the kids, and a loft bedroom where Caitlin and Zach sleep. 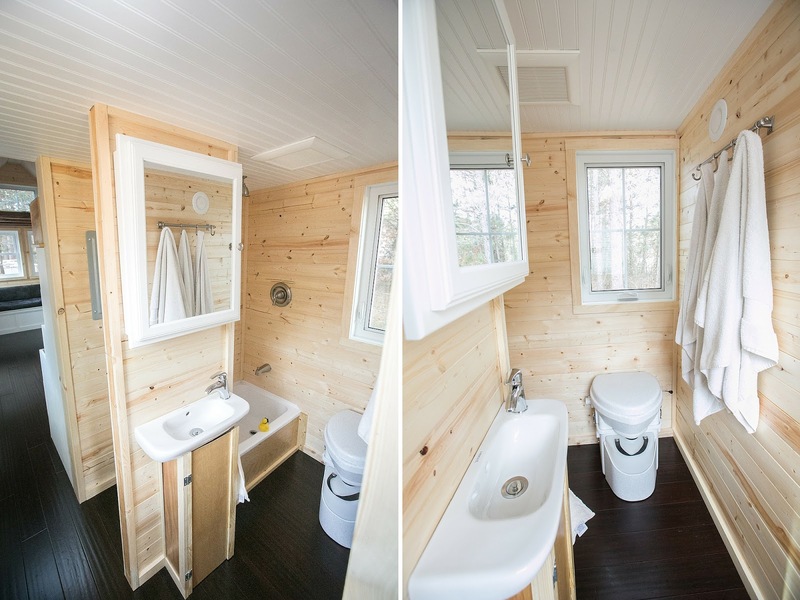 For more information and updates, be sure to check out Caitlin's blog/website!